With your arms outstretched, take the handle, being careful to center the grip of your hands. Be careful with a heavy weight because a non-centered grip will rock the trap bar forward or backward. Inhale and block your breathing. Squeeze your abs and your lumbar region. 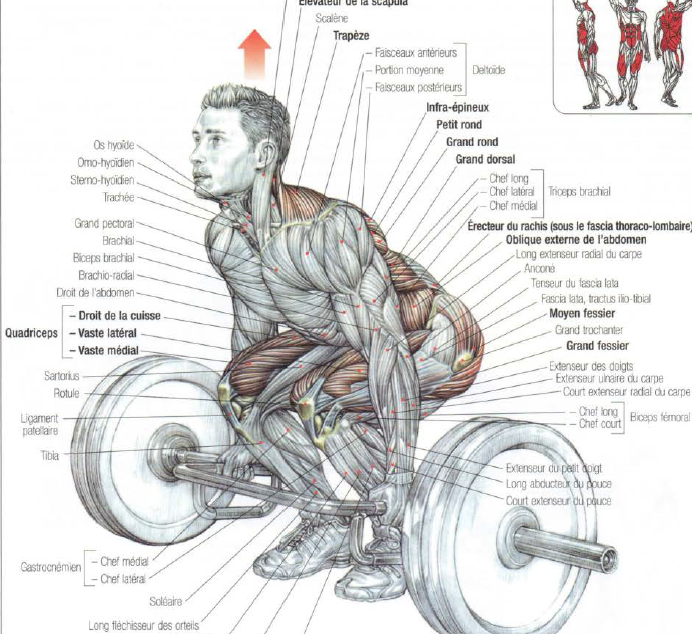 Lift the trap bar by straightening your legs being careful to not round your back during movement. Exhale at the end of the effort. 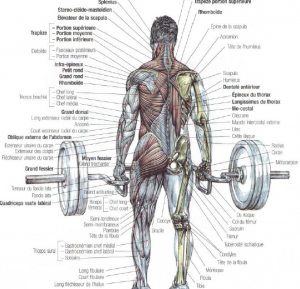 The trap bar deadlift works all your muscles body as the classic deadlift . The difference is that the central position of the bar makes it possible to limit the tilt of your torso which reduces the intensity of the work of the glutes and the lumbar region and transfer a part of the effort towards the quadriceps. It’s for this reason that the trap bar deadlift can be included in a specific program to work the thighs and can replace squat in some cases. The upper part of the trapezius work deeply with heavier weights. 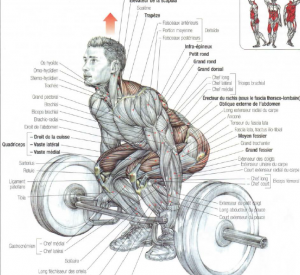 For people who suffer from lower back, this exercise is safer than the classic deadlift. Share this article if you think it can help someone you know Thank you.